Our Clean CarFax 2015 Volvo V60 T6 R-Design AWD Platinum Wagon is proudly displayed in Rebel Blue over Dark interior. Powered by a Turbo Charged 3.0 Liter 6 Cylinder that delivers 325hp while tethered to a responsive 6 Speed Automatic transmission that secures instant traction and natural passing authority. This All Wheel drive offers near 28mpg in addition to the astounding acceleration that propels our wagon to 60mph in just 5.5 seconds with the superb ride quality that comes with a Volvo! Inside the R-Design Platinum wagon, settle into supportive 8-way power seats with an interior that is spacious and intelligently designed with your needs in mind. Look up at the prominent sunroof, and turn up the volume on a Harman Kardon audio system. You'll also appreciate the convenience of premium navigation, Bluetooth phone and audio connectivity, dual-zone automatic climate control, customizable gauges and 40/20/40-split rear seats with power-folding head restraints. Meticulously built befitting its long-standing heritage of superior safety, our R-Design Platinum has earned top safety scores and even boasts the innovative City Safe system. If you want a wagon that goes fast, handles brilliantly and is sublimely comfortable, it doesn't get any better than the V60! Print this page and call us Now... We Know You Will Enjoy Your Test Drive Towards Ownership! 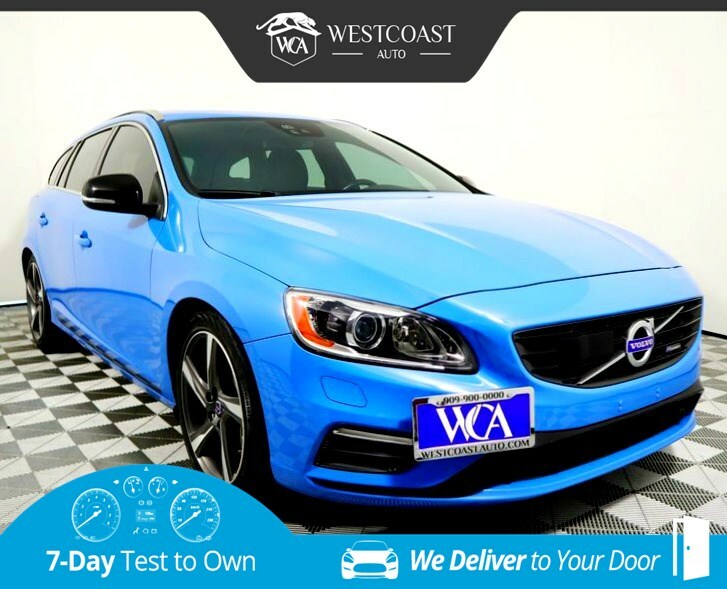 Great quality, easy financing and affordable prices aren't the only things that make Westcoast Auto Sales the first choice of many discerning auto buyers. Stop in and See California's Dealer of the Year!